New York artist Tom Sachs is a vanguard of DIY art and filmmaking. He’s previously demonstrated his love for making things from scratch in projects such as a film about a space program, created independently from the ground up and filmed on a $500 camera, and the creation of replica Swiss passports at a London gallery. 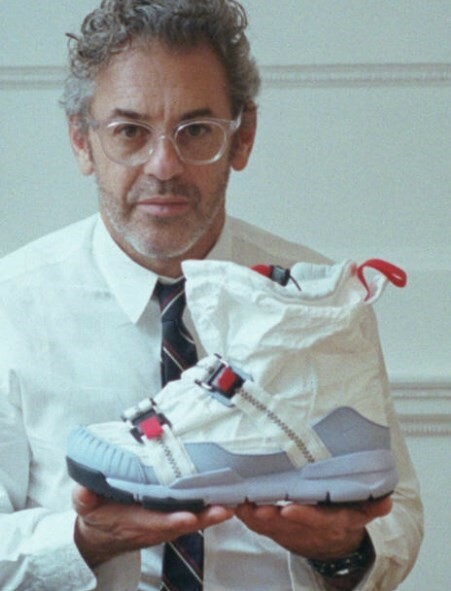 And his newest project is no different; the Mars Yard Overshoe, a collaboration with Nike, has been 11 years in the making. Paradox Bullets, which premieres in London today, is the film made to accompany the Mars Yard Overshoe. Written and directed by long-time Sachs collaborator Van Neistat and starring 80 year old US artist Ed Ruscha, it will follow the story of a man who loses his keys in the Mojave Desert while making an important delivery. Playing off Sachs’s earlier film, Ten Bullets, a precise handbook of rules for working in the studio, Paradox Bullets will explore how rules can be contradictory, or can be inverted for a similarly effective outcome. Lending his iconic voice for the narration of Sachs’s new film is filmmaker Werner Herzog. Herzog’s voice is arguably one of the best features of many of his own documentary features, so it’s safe to expect that it’ll go down well over the footage of Ruscha (and, presumably, the Nike shoes). Paradox Bullets premieres in London today (October 7).